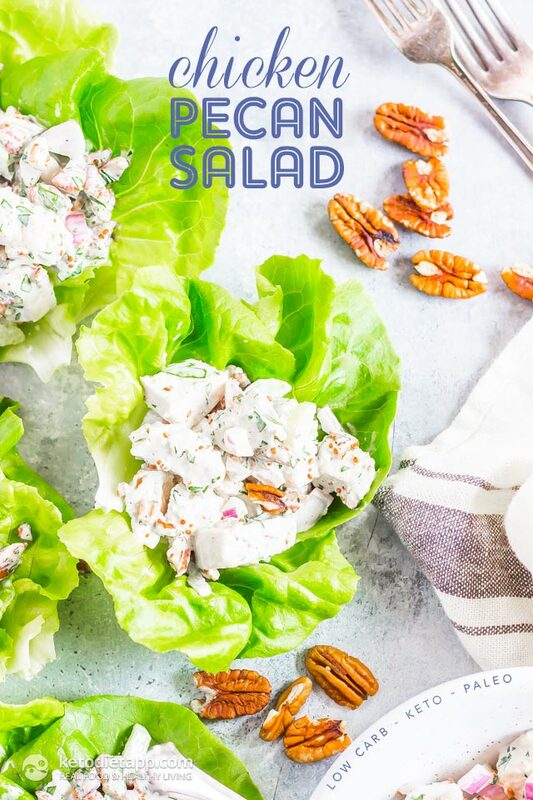 This simple chicken salad is ideal for healthy lunchboxes. It&apos;s best served on top of crunchy lettuce leaves. 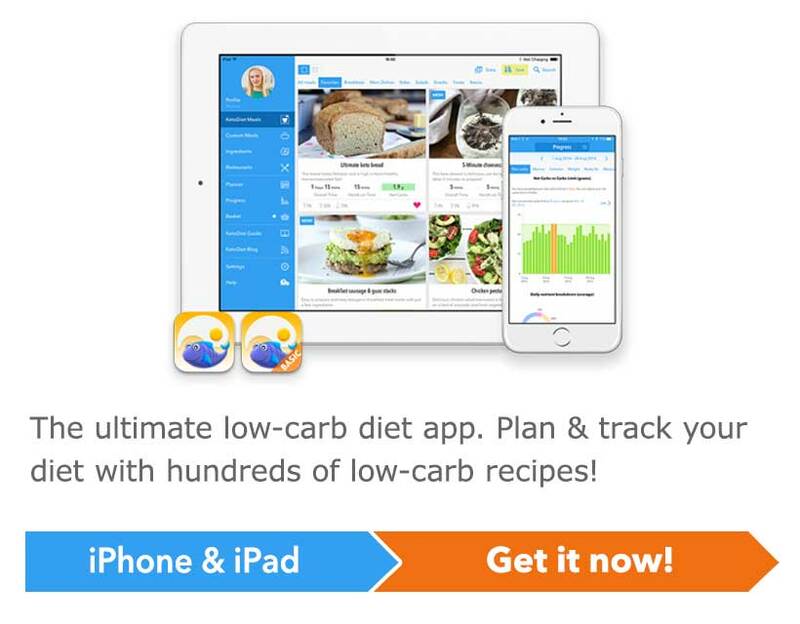 It will keep in the fridge for several days as long as you keep it separate from the lettuce. If you want to add healthy fats and transform this recipe into a nutritious anti-keto flu meal, simply serve stuffed in avocados. 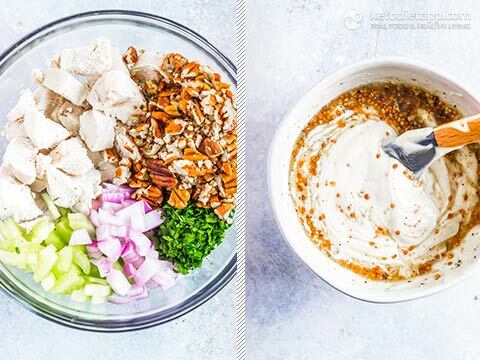 In a medium bowl combine the chopped chicken, parsley, onion, pecans, celery, salt, and pepper. In a small bowl mix together the mayonnaise, lemon juice, and mustard. Add the dressing to the chicken and toss to combine. 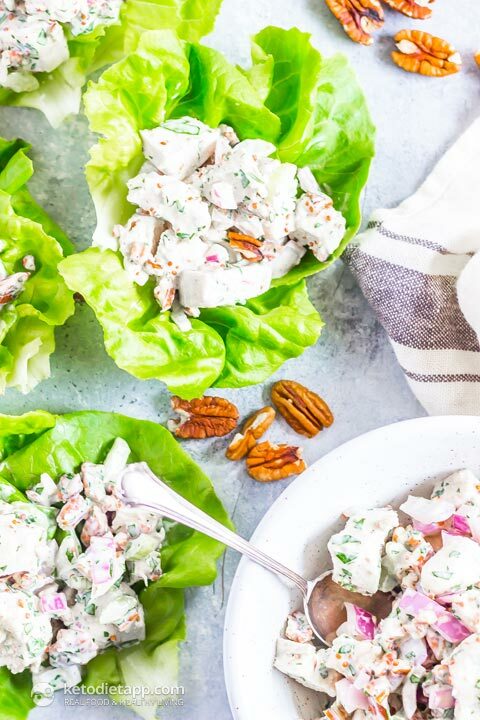 Divide the chicken salad between the lettuce cups and serve. 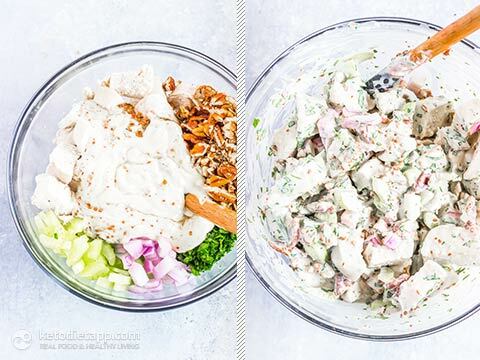 Chicken salad will keep in the refrigerator for up to 5 days. Be sure to store the lettuce leaves separately and always top with the salad just before serving. This is a delicious gourmet chicken salad! I will be enjoying this as my lunch throughout this week - thank you! The only change I made was using chicken thighs instead of breasts. This is awesome chicken salad!!! I just made it! Thank you for your kind feedback Trease!